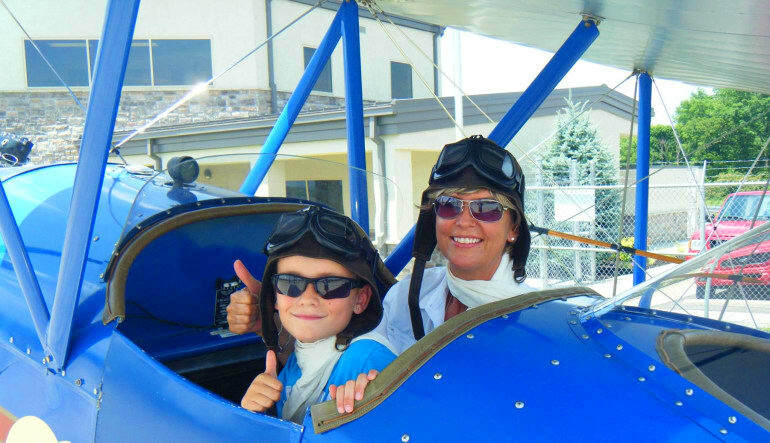 Fly around the foothills of the Smoky Mountains and experience the thrill of open-cockpit aviation in a vintage WACO Biplane. Experience what piloting in the golden age of aviation was like between 1919-1947. During your flight you will have an aerial view of Dollywood, Seviervill and Pigeon Forge so be prepared for amazing views that you will never forget. 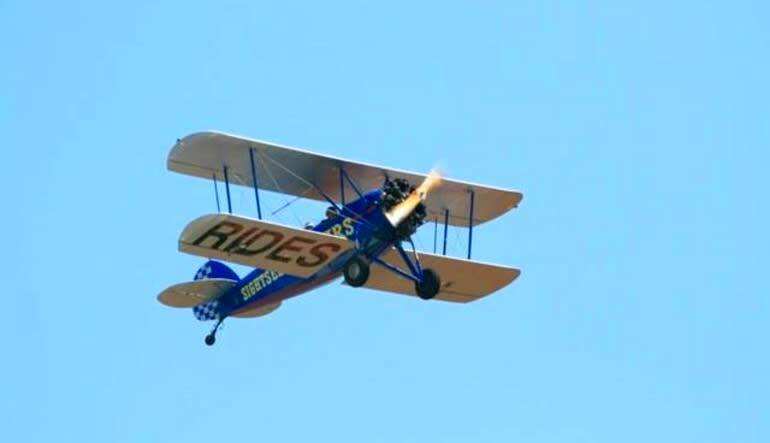 The Waco Biplane can seat two passengers with a combined weight of 400lbs. 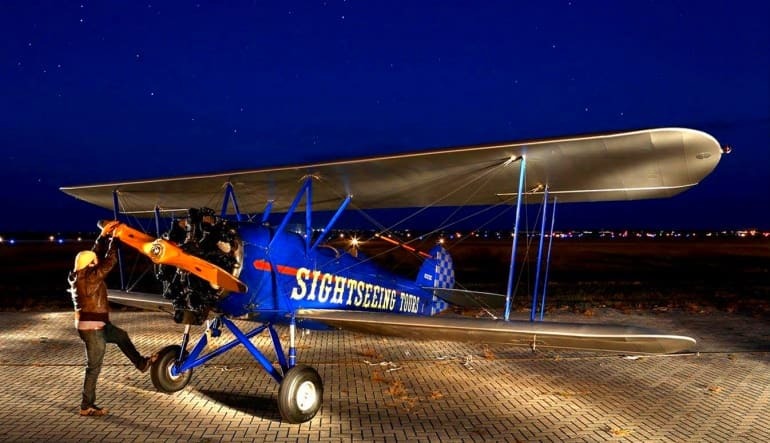 Reservations are mandatory so call today to choose your day and time to fly into the past on this unique WACO Biplane tour! I give my bi-plane ride 100 percent! Marc my pilot was great.He joked with me and was alot of fun.But was also very professional and a pleasure to talk to.I hope to fly with him again someday.Thank you Marc for a wonderful experience I will always remember.